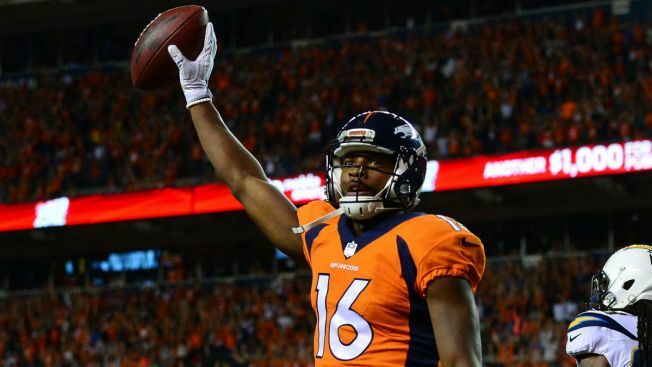 The Chicago Bears have bolstered their depth at wide receiver, signing Bennie Fowler III, according to reports. ESPN’s Adam Schefter says that the Bears signed Fowler to a one-year contract. Fowler, who played for the Denver Broncos for the last three seasons, set career highs in targets, receptions, and touchdowns last season. He hauled in 29 catches for 350 yards and a trio of touchdowns in 16 games. Fowler also made seven special teams tackles last season. The Bears have made several acquisitions at wide receiver this offseason, signing Allen Robinson and Taylor Gabriel to new contracts. They also added tight end Trey Burton.